A new teaser trailer and poster (above) for Marvel’s Doctor Strange reveals the first proper look at the cast in their roles with Benedict Cumberbatch starring as the title character. 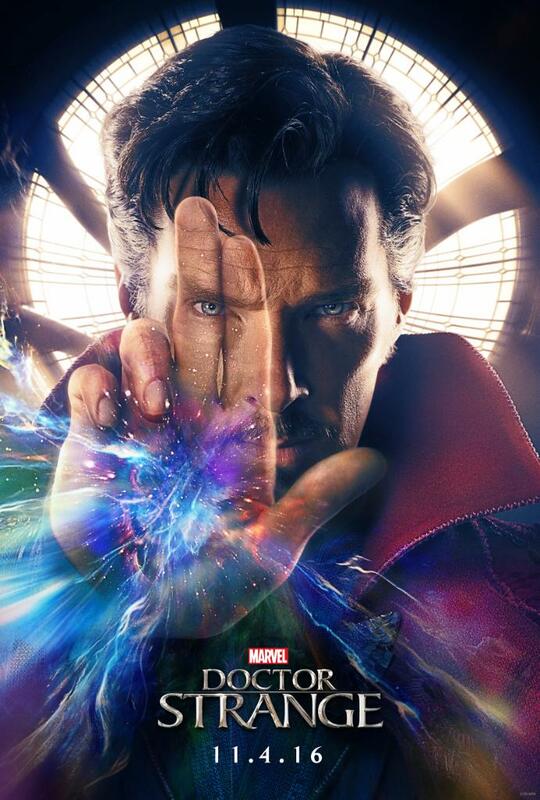 Doctor Strange tells the story of Stephen Strange (Cumberbatch), an acclaimed neurosurgeon who uncovers the hidden world of magic and alternate dimensions after a near-fatal car accident, showing a Marvel Cinematic Universe story never before explored. Also starring is, Chiwetel Ejiofor as Baron Mordo, Tilda Swinton as The Ancient One and Benedict Wong as Doctor Strange’s humble servant, Wong. Rachel McAdams, Michael Stuhlbarg, Scott Adkins, Amy Landecker, and Mads Mikkelsen also star, in as yet, undisclosed roles. Doctor Strange is released in cinemas on Friday, 4th November 2016.